Stereo component tuner assembly is/was not connected while the ignition switch is/was ACC or ON. 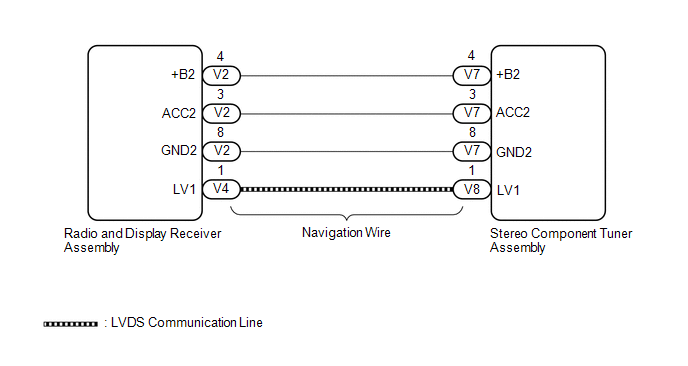 (a) Disconnect the V2 radio and display receiver assembly connector. (b) Disconnect the V7 stereo component tuner assembly connector.